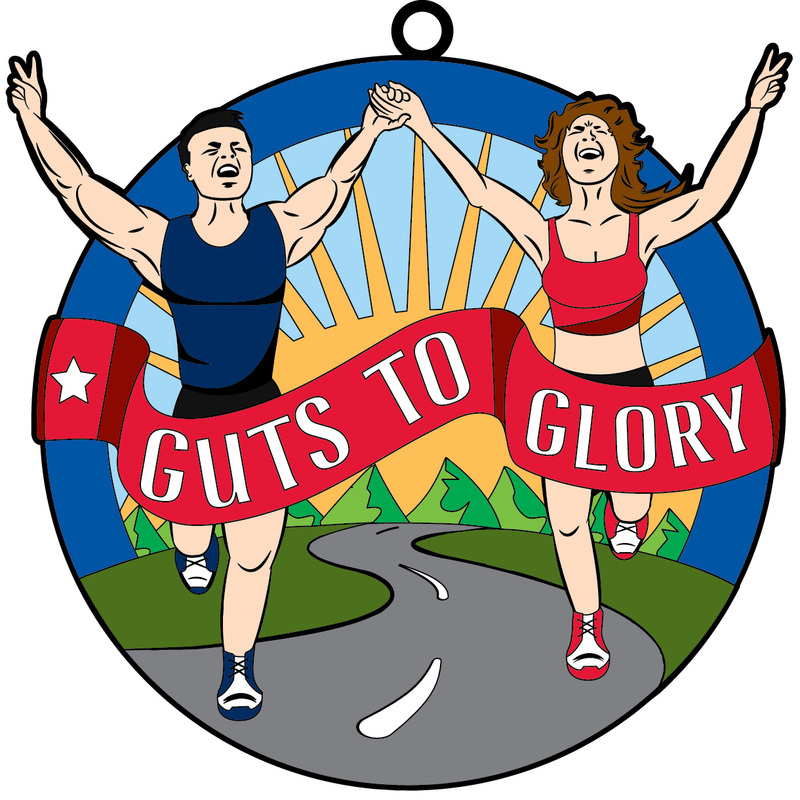 It takes guts to achieve glory: Guts to begin your journey, guts to stay on course, and guts to persevere until you ultimately reach your goals, whatever they may be. 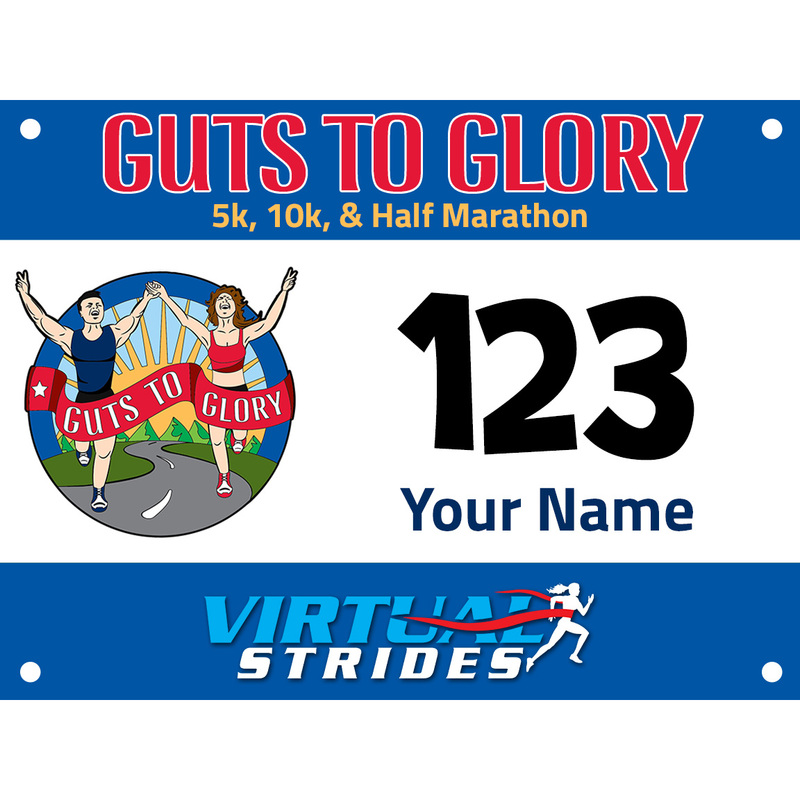 Register for the Guts to Glory virtual 5k/10k/Half Marathon to benefit the Crohn’s & Colitis Foundation of America this July. Run or walk whenever and wherever you want. 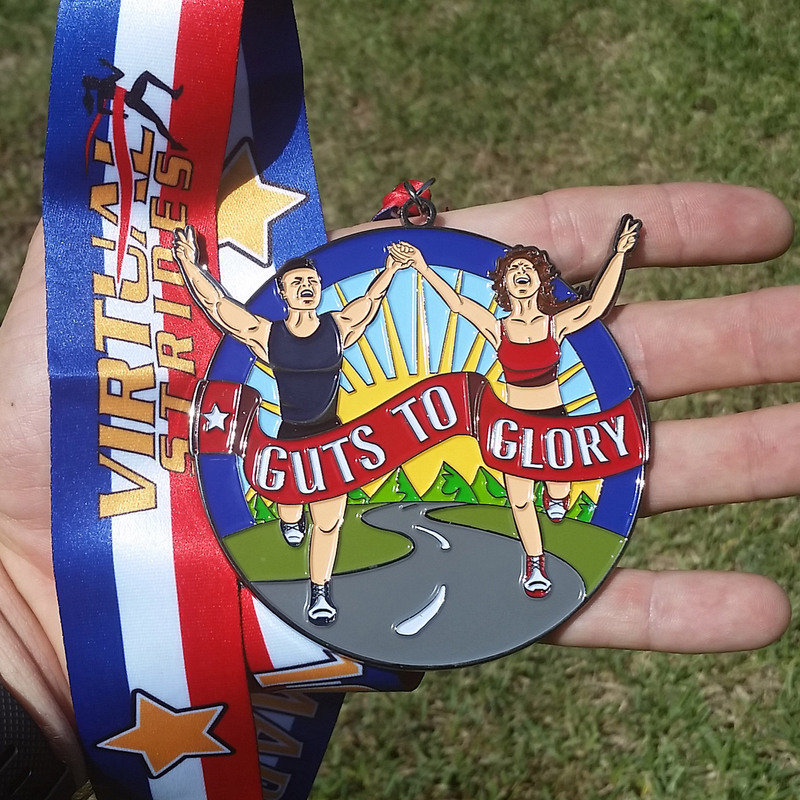 All registrants will receive a personalized race bib, and we will mail you this inspirational 4″ finisher medal after you upload your results or at the end of the race period, whichever comes first. The mission of the Crohn’s & Colitis Foundation of America is to cure Crohn’s disease and ulcerative colitis, and to improve the quality of life of children and adults affected by these diseases. The CCFA sponsors basic and clinical research of the highest quality. The foundation also offers a wide range of educational programs for patients and health-care professionals, and provides supportive services to help people cope with these chronic intestinal diseases. The CCFA receives no government funding and these programs are supported solely by contributions from the public. A portion of the proceeds from this event (at least $5 from each registration) will be donated to the Crohn’s & Colitis Foundation of America. For more information about this organization or to make a direct contribution, please visit CCFA.org.